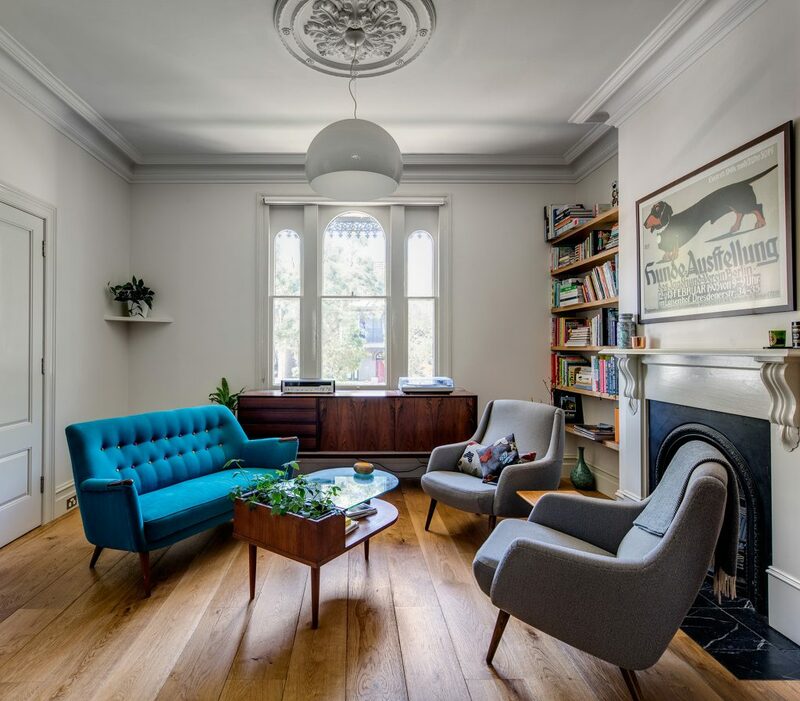 Located in a heritage-listed area of Sydney where the design and building process is as much about preserving and restoring Sydney’s architectural history as it is about catering to the needs of the client, Paddington Terrace balances contemporary design ideas whilst preserving and restoring the historical elements of the terrace. 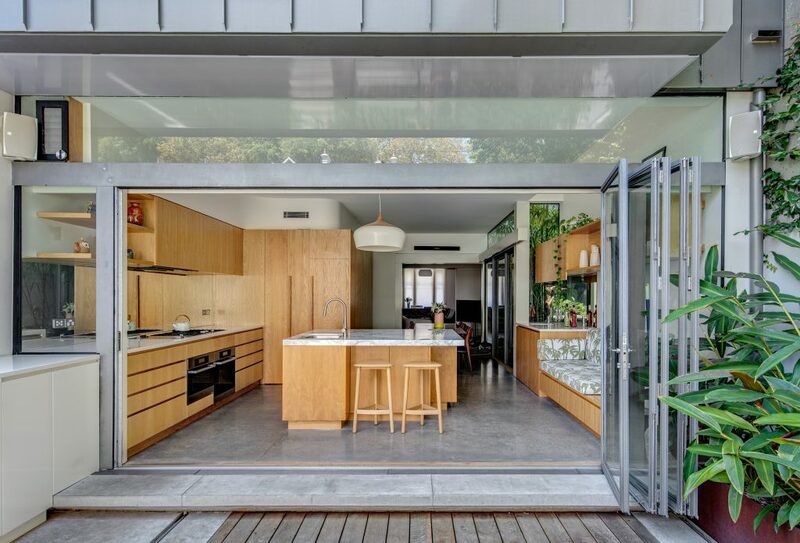 Paddington Terrace is designed for a busy couple with a love for cooking and entertaining. 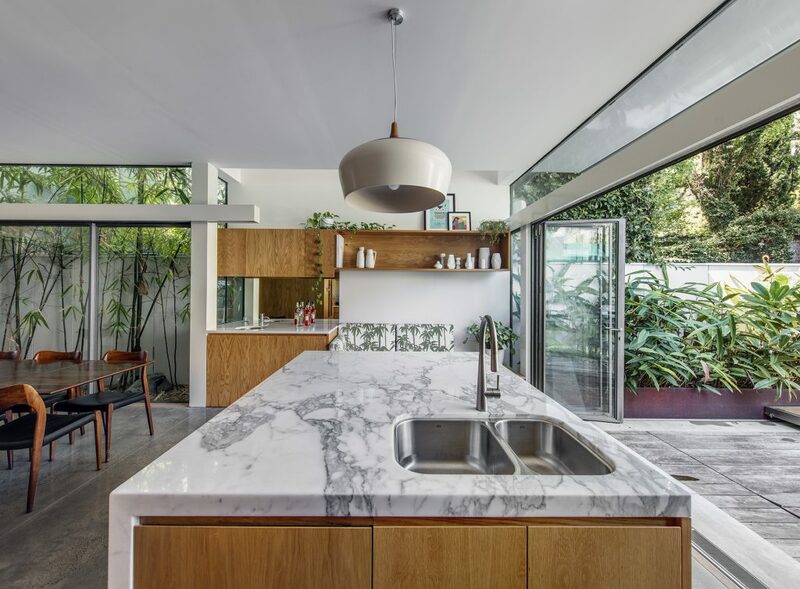 The kitchen and dining spaces are maximised through large glass doors and windows opening out to the rear courtyard and spa pool providing a seamless flow between inside and out. 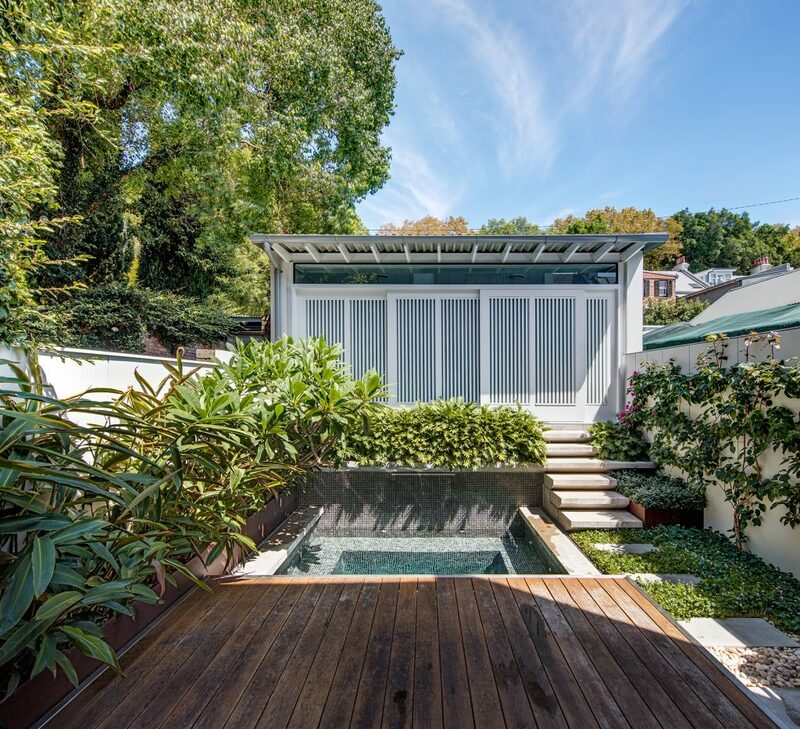 Skylights, light-wells and an internal courtyard open the terrace up filtering natural light into the space. 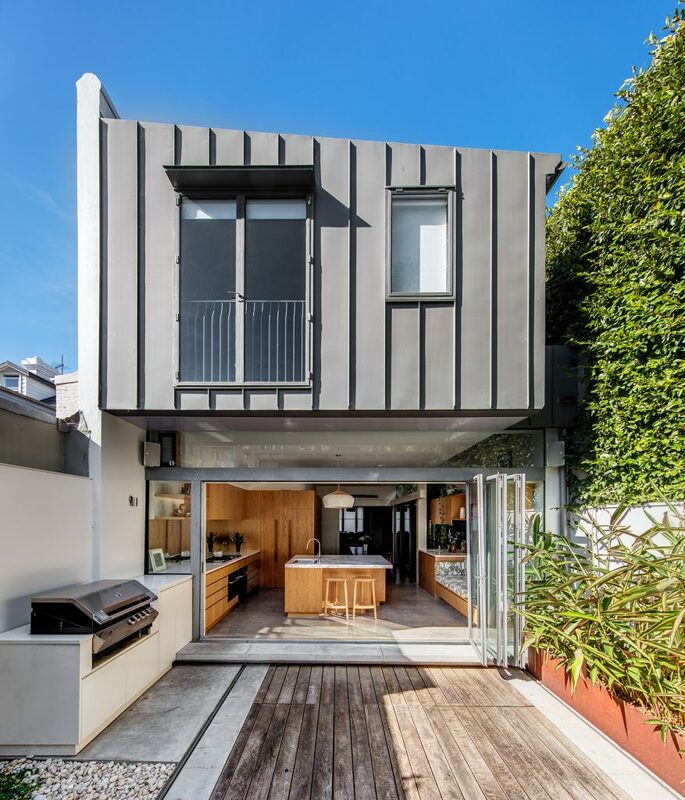 The traditional terrace street façade is complimented by the contemporary and modern interior detailing that provides the household with a comfortable and functional home. 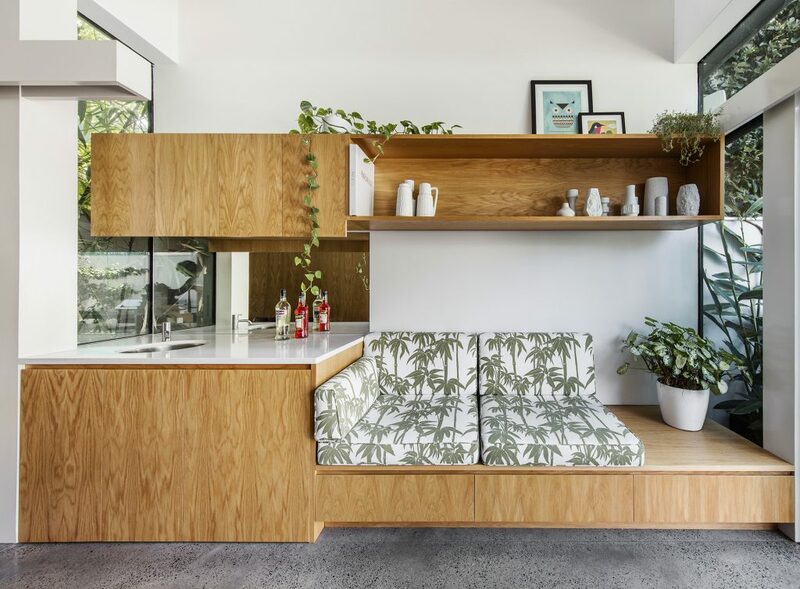 Polished concrete floors, timber joinery and glass are positioned next to sections of an original brick wall allowing the terrace’s history to be enjoyed both inside and out.